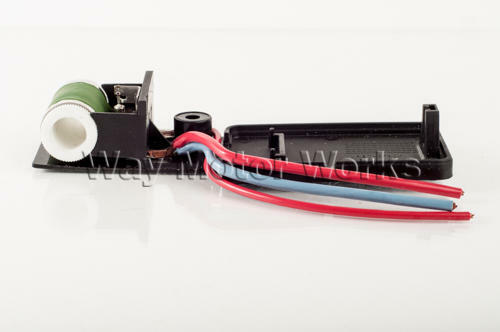 Radiator Auxiliary Fan Resistor for 2002-2006 R50 MINI Cooper, R53 Cooper S and 2005-2008 R52 MINI Cabrio S. If your Radiator fan is not working on the low speed this could very well be the problem. This resistor is mounted on the upper left corner of the fan. It can be removed and this one wired in to repair your existing fan without buying a new expensive $300 fan.